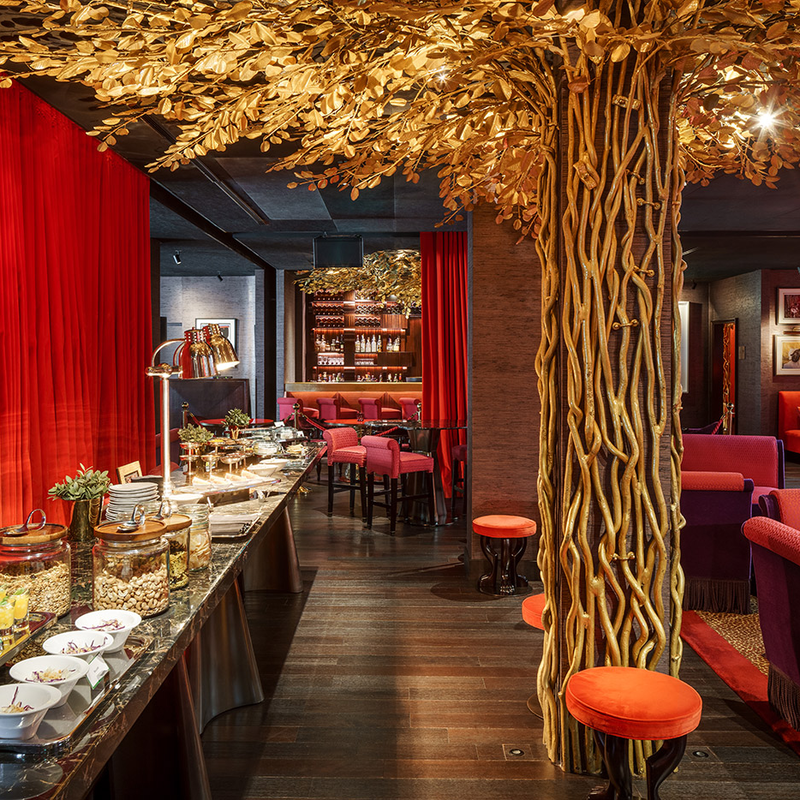 Get together in a lush and luxurious event space in Singapore when you reserve The Salon at the Vagabond Club. Boasting over 5,000 square feet of space, your next celebration in the Salon will be a complete sensory experience. Your guests can lounge on plush, velvety furniture and sip on a craft cocktail or an artisan whisky while you mix and mingle among custom artwork in a sensuous and beguiling event space. 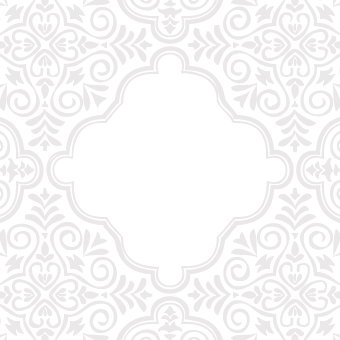 Send an enquiry to [email protected] for your next event. Laugh out loud with acclaimed Canadian comedian Tom Green at his Stand Up Comedy Tour at the Whiskey Library @ The Vagabond Club on April 12th. That’s not all! 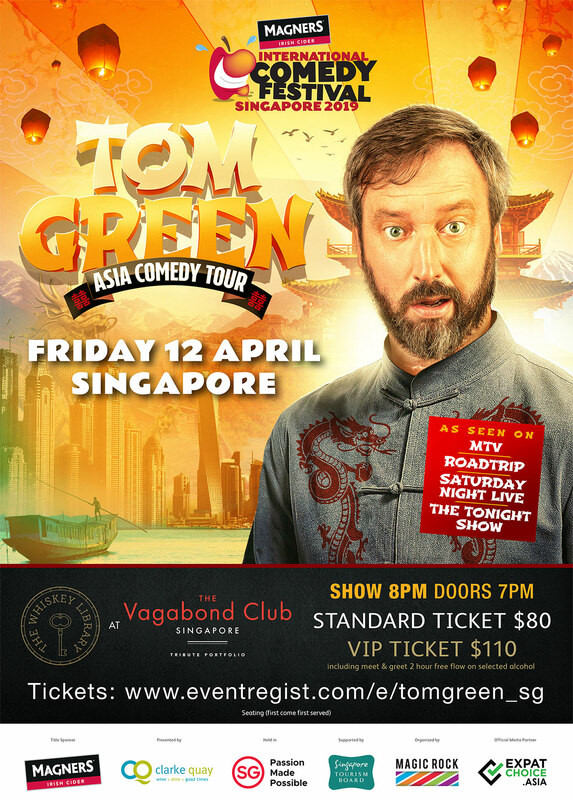 We have got a SPECIAL PROMO for you: buy any one whiskey dram at The Whiskey Library @ The Vagabond Club before April 12 and stand a chance to win 2 free tickets for Tom Green’s Show! Book a table The Whiskey Library @ The Vagabond Club today at [email protected]! For just two Thursday nights (21st & 28th March) only, join The Vagabond Club x The Whiskey Library for a stunning FREE live art performance as part of the hotel’s first-of-its-kind artist-in-residency programme. Allow yourself to become immersed in this multi-sensory experience, all the while savouring the delicate (and the powerful) tastes of The Whiskey Library's iconic artisanal whiskeys. 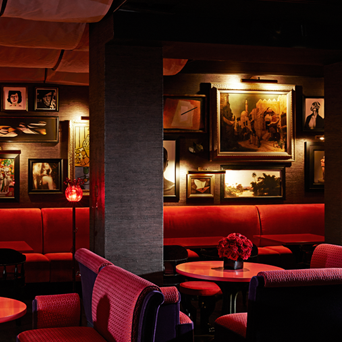 Renowned for its celebration of the arts, The Vagabond Club plays host to a variety of prestigious global artists in this project. For the next two weeks, we're delving into the abstracted mind-scape of Chloë Manasseh, a Singapore-based British artist. 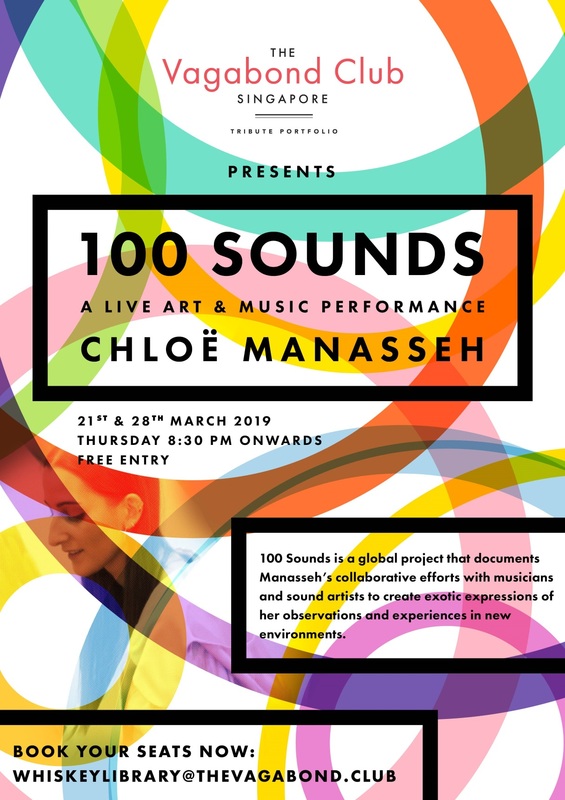 This live art performance, an ongoing global project since 2011, will see local musicians and sound artists perform live and improvised as they navigate Chloë’s perceptual experience, through a series of original video works made in Singapore, the UK and Joshua Tree, CA. What’s more, entry is entirely FREE. Book now to secure your seats. Up to 250 guests can be comfortably seated at The Salon. Elegant, sound-proof curtains are arranged throughout the space, allowing you to adjust the size of your event as needed. Whether you are hosting a grand celebration or an intimate soiree, we can help you adjust The Salon to fit your desires. When you begin planning your event at the Vagabond Club, you will have an assortment of options to accommodate your guests. 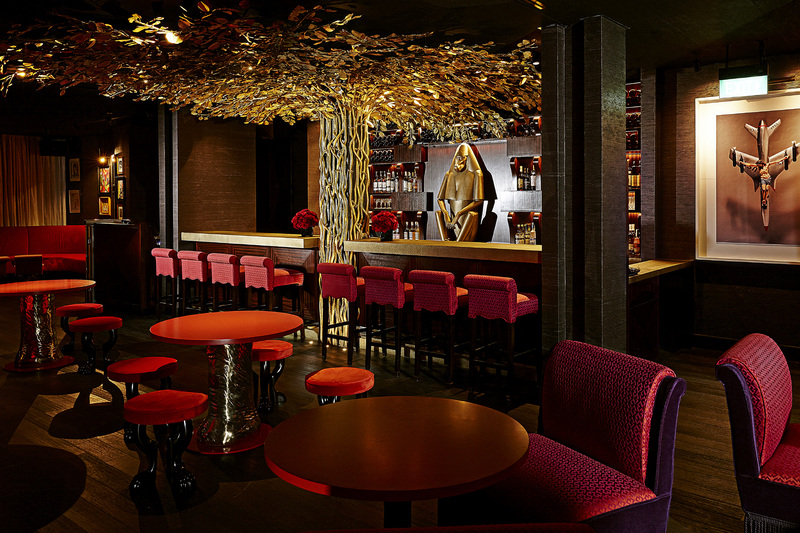 A small and intimate gathering can easily reserve Bar Vagabond for a quiet cocktail hour. 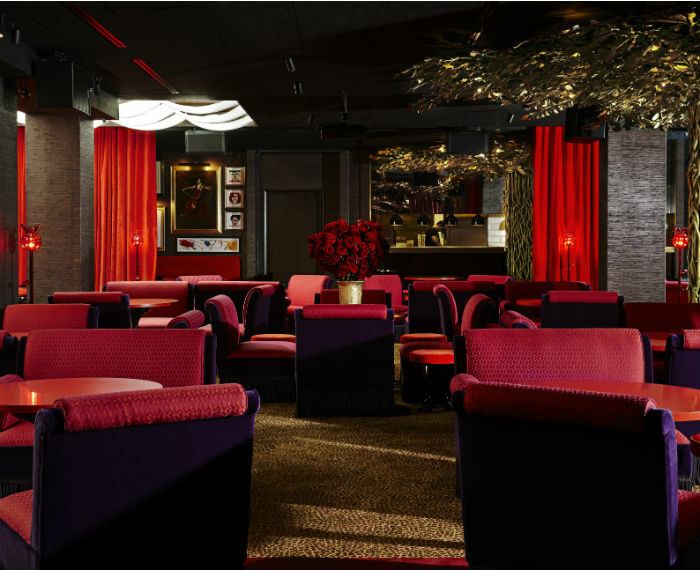 For additional seating you can reserve the Lounge next to the bar, or for a fashionable reception you can reserve The Salon, a spacious theater room with ample seating. For a first-rate event with plenty of guests, you can reserve all three spaces and prepare for an unforgettable evening only The Vagabond Club can provide. Throughout your evening you will be surrounded by eclectic works of art curated by our artist in residency program while our dedicated staff provides high-touch catering services, and amiable bartenders prepare one-of-a-kind craft cocktails. Your guests will be delighted by the elegant and chic style of The Salon when they gather for your private event in Singapore. The Salon at the Vagabond Club features state-of-the-art acoustics, so your guests can hear each other with ease throughout the evening. Our staff can also assist you with A/V and IT services for easy setup of any presentations or entertainment you wish to include. 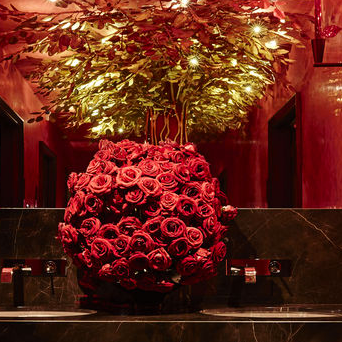 Bold, unique and glamorous with a touch of artistry; meetings, events, and celebrations at The Salon are always the talk of town. Contact us for event planning services, available at your request. When you host an event at The Salon at the Vagabond Club you and your guests will enjoy some of the finest dining Singapore has to offer. Explore the menus below to discover the various layouts available for your private event along with the dining, cocktails, and the additional services that will make your experience unforgettable. At the Salon, you and your guests can cater from the exclusive kitchen used by the Vagabond Club, offering delectable dishes created by Chef Aaron Tan. Sensational cuisine inspired by traditional Singaporean flavors will knock your socks off, with each dish prepared using fresh and nutritious ingredients to inspire feelings of delight and temptation with every bite.